CNN once again surpassed MSNBC in Total Day, daytime and on weekends during the month of October among adults 25-54. CNN has now bested MSNBC in Total Day for 40 straight months in the key demographic 25-54 (240k vs. 203k), the longest monthly streak since January 2010. CNN also beat MSNBC by wide margins throughout daytime programming, averaging a +40% advantage in the key demo (255k vs. 182k). All of CNN’s day time programs posted higher demo 25-54 audiences than MSNBC. CNN has now topped MSNBC during the daytime hours (9am-4pm) for 44 straight months among 25-54. In addition, CNN easily outperformed MSNBC during weekend programming in both Total Day (191k vs. MSNBC’s 120k) and prime time (225k vs. MSNBC’s 98k). CNN ranked #1 in cable news every hour on Saturdays from 1-7pm, and on Sundays from 3-7pm and 9pm-midnight. MSNBC ranked third in total day and fourth in weekend prime time. CNN’s New Day with Chris Cuomo and Alisyn Camerota beat MSNBC’s Morning Joe among adults 25-54 for the second straight month (243k vs. MSNBC’s 237k), and for the sixth time in the last 10 months; up double digits from a year ago (+15%). New Day which launched in June of 2013, is delivering its third highest monthly demo delivery on record during the morning time period (6-9am). Erin Burnett Outfront (7pm) topped MSNBC’s Hardball with Chris Matthews among adults 25-54 (356k vs. MSNBC’s 346k) and Anderson Cooper 360 (8pm) beat All in with Chris Hayes (391k vs. MSNBC’s 374k) for the third straight month in October. Other key CNN programs such as Early Start with Christine Romans and Dave Briggs, The Lead with Jake Tapper, The Situation Room with Wolf Blitzer, Smerconish (No. 1 at 6p), State of the Union with Jake Tapper, Inside Politics with John King, Fareed Zakaria GPS (No. 1 at 1pm) and Reliable Sources with Brian Stelter all easily surpassed MSNBC this month, posting higher demo 25-54 audiences. Among ALL cable networks, CNN ranks #6 among total viewers and #11 among adults 25-54 in Total Day. CNN ranks #8 in ALL of cable in M-F Prime total viewer delivery. 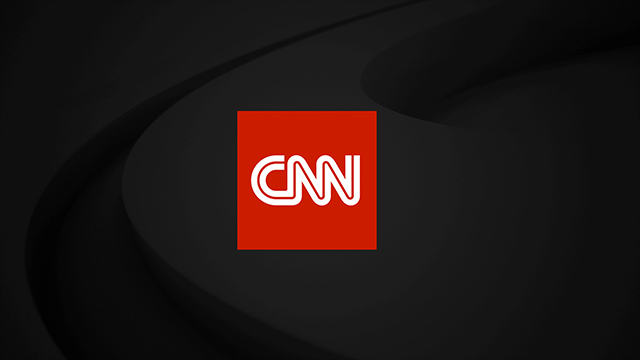 This marks the third straight month that CNN is a Top 10 cable network among total viewers in Total Day and M-F Prime. Year-to-date, 2017 is pacing to be CNN’s highest on record in Total Day among total viewers and adults 25-54. 2017 is also pacing to be CNN’s second largest audience since 2008 in primetime among 25-54 and total viewers. Year-to-date, CNN continues to attract an audience that is five years younger than Fox News and MSNBC in total day, and seven years younger than Fox News and six years younger than MSNBC in prime time. CNN is tracking at its youngest yearly median age since 2008 in Total Day, while MSNBC is at its oldest on record. Anthony Bourdain: Parts Unknown Season 1- to-date (10/1-10/29/17, Sun 9pm): Ranks #1 among adults 25-54 across cable news in its time period, outperforming the combined delivery of MSNBC and Fox News. The program is tracking at its second highest Fall season performance ever among both adults 25-54 and total viewers. This is Life with Lisa Ling Season 4-to-date (10/1-10/29/17, Sun 10pm): Is tracking at its highest season performance ever among total viewers and second highest ever among adults 25-54. The program ranks #1 among 25-54 across cable news in its time period. Every episode this season to-date has ranked #1 among 25-54 across cable news in the hour. The Wonder List with Bill Weir Season 3-to-date (10/7-10/28/17, Sat 9pm): Ranks #2 in cable news among both adults 25-54 and total viewers in the hour. When comparing to a year ago, please note for context that CNN had unprecedented and record-high viewership last October, just one month before the historic Presidential election. Big news stories with higher than average viewership included: the three Presidential Commission debates (one VP Commission debate) and breaking news stories such as the Access Hollywood tape, the FBI’s decision to review Clinton emails in the Anthony Weiner sexting case, Hurricane Matthew hitting Florida and continuing coverage of the fatal police shooting in Charlotte.